Heed Bangladesh Job Circular 2017. 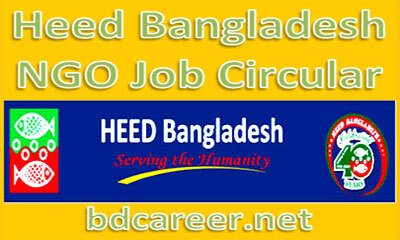 Download Heed Bangladesh Job Circular from here. Heed Bangladesh is a National NGO registered by Micro-Credit Regulatory Authority. Heed Bangladesh will currently recruit for various total 133 Posts circulated a recruitment notice on 08 October 2017. Interested and eligible Bangladeshi Citizenship candidates are requested to apply after fulfilling the circularized conditions and instructions. Deadline for Submitting Application is 21 October 2017. 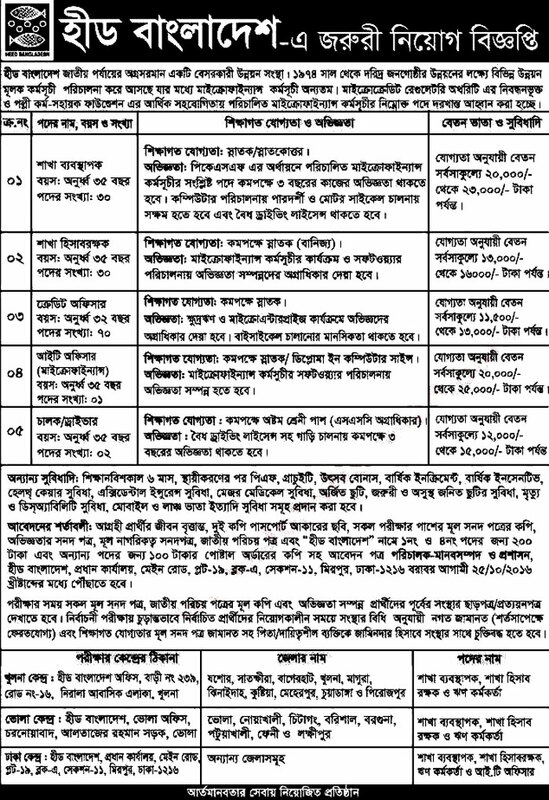 Heed Bangladesh Job Circular. Heed Bangladesh is a Non-Profit, Non-Government Organization established as a Micro Credit development organization in the year of 1974. HEED Bangladesh works directed & Financed by PKSF, has been working for the rural people, especially women and children of the poor households in Bangladesh with the objectives of poverty alleviation, awareness building, social violence reduction and empowerment of women to uplift their socio-economic status. It has overcome many challenges and achieved many successes. Heed Published A Vast Career Opportunities. HEED gives a dynamic platform for the youths to build their career in the development sector. How to Apply: Interested candidates may Apply through full Bio-Data and all educational certificates, National Identity Card, Citizenship Certificate, Deposit original certificate of SSC, 2 copies of recent passport size color photograph with other related documents, Postal Order TK 200/100 as per the circularized conditions and instructions will be sent to Director (Human Resource & Admin), Heed Bangladesh, Principal Office, Main Road, Plot-19, Block-A, Section-11, Mirpur Dhaka-1216. The Name of the post writes on the envelope clearly. Application reaches within office time on or before 21 October 2017.